The Siemens dishwasher in your apartment simplifies life a lot, making cleaning and washing dishes an exciting activity. Progress cannot be stopped and modern technologies and materials have been used in the production of household appliances for a long time. But whatever one may say, even the state-of-the-art equipment breaks down and fails. This also applies to dishwashers. So, it’s time to consider the most frequent symptom – the dishwasher does not turn on. First, make sure that the equipment is properly connected to the power supply network. Check the integrity of the power cord and the plug. Then check if the tap that supplies cold water to the dishwasher is open. If the valve is closed, be sure to open it. Another reason for the lack of response to the start command of the dishwasher – a filter or a drain hose is clogged. If you find a clog, then remove the hose and clean it with a strong head of water. Perhaps, the dishwasher does not start because the door is not closed securely. Most likely, you did not close it, and the lockout system was activated. It also happens that the door can be damaged or the latch is completely broken off. In this case, a complete replacement of the part is required. 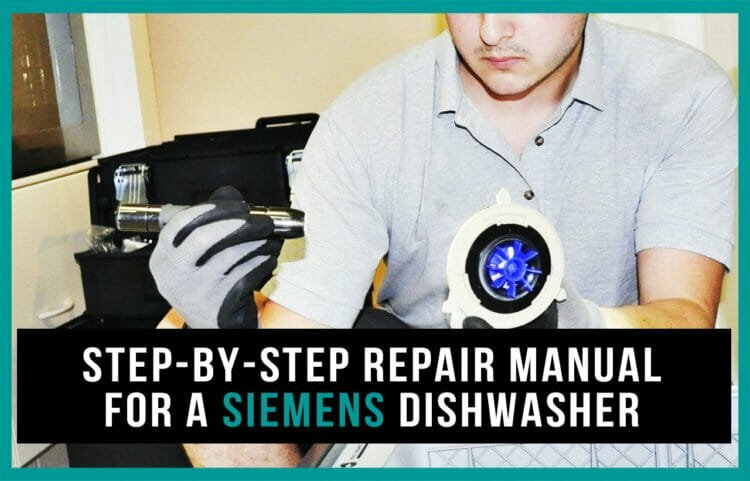 This also applies to other elements of the dishwasher, which can be mechanically damaged. Another reason for “not starting” is that a network button or a control board of your dishwasher may be broken. In this case, you need to call a specialist who will analyze and eliminate the problem. It is better not to repair such damage yourself. In order to avoid problems with the operation of the dishwasher, remove large pieces of leftovers and other debris in the urn. This will prevent clogging of the hose and filtration system. Invite an electrician and ask him to install a system that will monitor power surges in the network. Try not to overload the dishwasher with frequent sessions. If you find any serious problem in the operation of your household appliances, it’s better to immediately call a specialist. So, you will save time and money.